Managing hair can be a difficult task for some, but what really adds to the challenge is the cold and dry weather that winter brings. 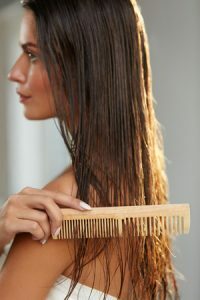 Your hair can go from soft to dry and brittle over the course of a few months if the proper precautions aren’t taken. One of the biggest hair mistakes we make is thinking we need to wash our hair every day. You might think that you need to wash your hair every day because it feels oily. What we often don’t realize is that hair washing promotes further oil production. This is because your hair is trying to replenish the oils stripped away from the chemicals in your shampoo. Try investing in a quality dry shampoo that can help decrease the amount of times you wash your hair every week, especially in the winter. 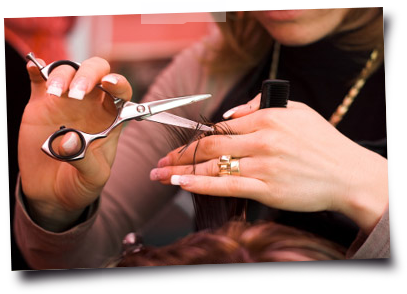 Heating tools like a blow dryer, curling iron, and straightener can do some serious damage to your hair. In the colder seasons, your hair is more vulnerable to damage because the air is very dry. 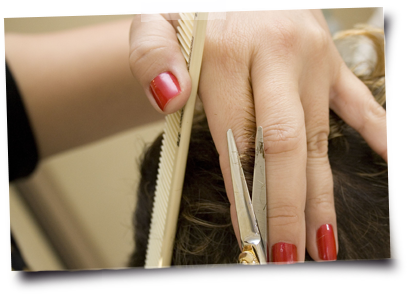 Giving your hair a much-needed break will really help decrease the damage done during the winter. Try using heat free ways to do your hair or invest in a heat protectant for the days you must heat style. If you are cutting back on the amount of washing you do to your hair and see it’s still dry, try a deep conditioning hair mask once a week. 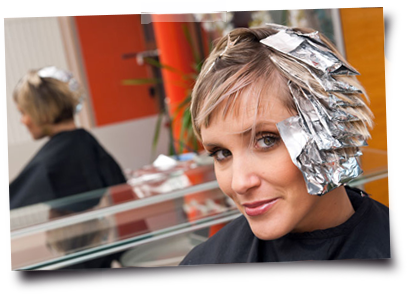 There are many different types of hair masks for all kinds of hair that you can try. When you come to our hair salon this winter, invest in a good deep conditioning hair mask to help with damage and dryness. Using very hot water is not only bad for your skin, but especially damaging to your hair. Hot water will start to dehydrate your hair, and will be even worse if you’re doing it every day. If you can’t resist the temptation to take a hot shower, try rinsing your hair with cold water after using conditioner, and one last time before you get out. Keeping your hair nice and healthy this winter can be a simple task if you make some changes to your current beauty routine. Speak to one of our hairstylists for more tips on how to keep your hair healthy and damage-free this season.